You absolutely love what you do, you understand your line of work and why you do it. Before we put pen to paper we want to hear all about it, the time you first had that lightbulb moment, that time when you got it right, the time you made your first sale and more importantly, where you want to go next. Your business is unique in what it does, so we create custom designs specific to you. You want that blue to be a shade lighter, the text to be a tad bit bolder, that’s no worries at all! Our scope of expertise includes all things great and small, from logo design and branding to business cards and banners, brochures, books, annual reports, marketing materials and anything else that requires ink on paper. And we make sure that we’re there with you right throughout the project – from start to finish, from a to z, idea to print! Make sure your day is full of colour and adventure! Sunday mornings are always good for deep thought and taking a ride on your push bike! Another Friday and the fish are in the bag! Have a great weekend! Saturday afternoon relax - Dili style! There’s never an end to exploration and discovering new things! Get in touch with Timor Leste’s favourite logistics and removalists company via their brand new website - www.dnmoverstl.com Proudly designed by us! Why wouldn’t you be cheering! It’s Tuesday in downtown Dili and the rain is falling! Hope your Friday is coming along nicely too! Which way will you go today? Wondering where exactly your morning kickstart coffee comes from? Check out Cafe Brisa Serena’s brand new website - cafebrisaserena.com - Timor Leste’s Leading Specialty Coffee Roaster to find out more about how they source their beautiful beans from the mountains of Letefoho, Timor Leste. Great to be working with USAID and STVJ promoting Food Preservation using Timor Leste’s finest produce. Recipe book coming soon! 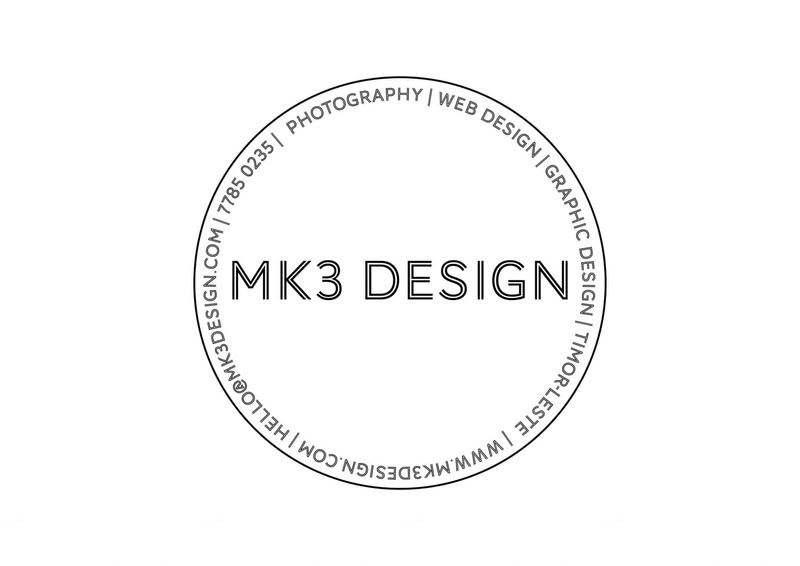 Super excited to have helped this lovely lady develop her logo! Keep a lookout for this Cairns based Specialty Coffee soon to hit the streets of Australia! Always a delight to develop your big brother’s website - kinnytint.com - check it out! Enjoy your sunset wherever you happen to be on earth this afternoon! Papa Whisky November, weekend we’re ready to land! Where are you off to this weekend? Enjoy being a busy bee on your Monday!